Distribution: New Hampshire coast; seasonal migrant, moving inshore (Piscataqua River) in the spring and offshore in the fall. Description: Fast growing, short lived molluscan invertebrate. It is a cephalopod (meaning “head foot”), closely related to the octopus and cuttlefish. These creatures all have their feeding and major sensory organs on the part of their bodies to which the tentacles attach. 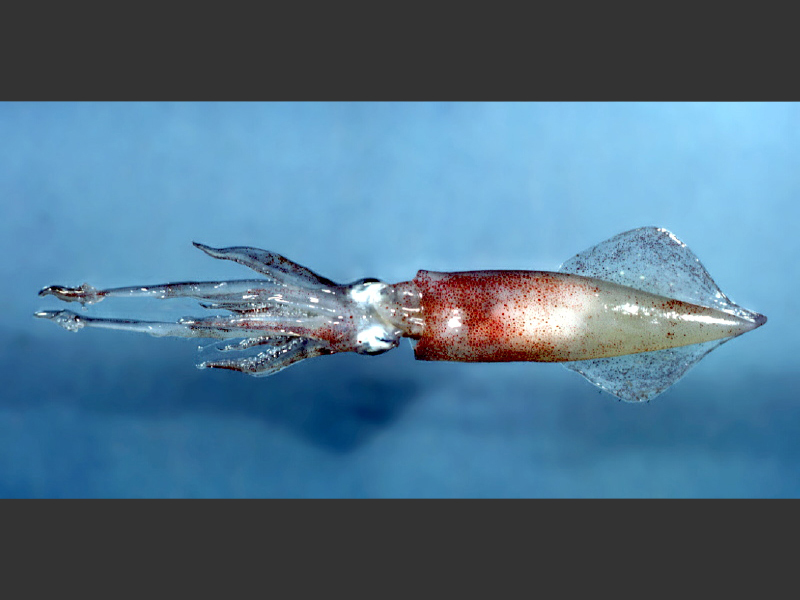 While this peculiar body structure may be the first thing you notice about a squid, the second is likely to be its dazzling ability to camouflage. Squid have "chromatophores," which are cells dense in pigment. Nerves and muscles control the contraction or dilation of these pigmented sacs, resulting in a change in color or pattern on the creature. This can be done at a very high speed, resulting in what looks like flashing. This behavior serves several purposes, including camouflage, communication and courtship. Whether from garden or sea, food is always better fresh. Follow these steps to prepare your fresh catch for the dinner table. Using gloves, grip the head and pull it slowly and firmly away from the mantle (body), using a twisting motion. This should remove most of the internal structures. The squid’s ink is located behind its eyes and in its ink sac; be careful not to puncture these areas. Put your fingers just inside the mantle cavity and feel a hard structure on the side where the fins are attached. This is the pen, an inedible cartilaginous structure also called the cuttlebone. Grip the end of it firmly and pull slowly and firmly to remove it from the cavity. Grasp one of the fins. Lift it up to see where it is connected to the mantle at the underside. Insert your thumb or finger between the fin and mantle, pushing through the skin, and begin to pull the fin away. Move your finger inside the skin toward the underside of the other fin. Once the fins are pulled loose, continue to pull the skin down and off the body. Clean the inside of the mantle thoroughly with water. You can now cut the mantle into rings (or leave whole for stuffed squid). The fins can be used as well; just pull off any remaining skin. 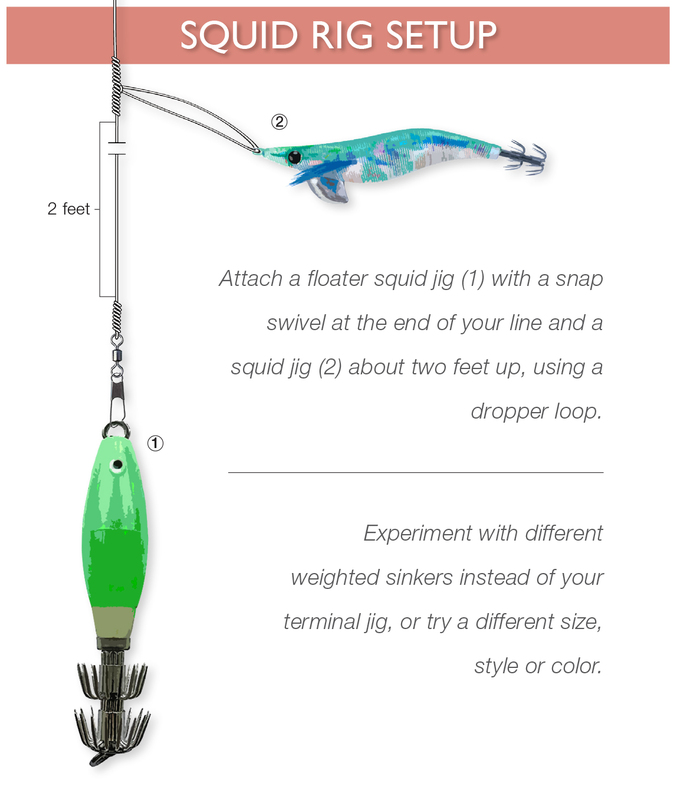 Separate the head from the tentacles by slicing between the base of the tentacles and the head. There should be some flesh remaining that attaches all of the tentacles together. Inside this ring of tentacles is the inedible beak. Squeeze the connective tissue at the top of the ring carefully with your thumbs, and the beak will come out easily. The remaining ring with attached tentacles can be cut in half to cook more evenly. To make the sauce: Mince garlic cloves. Hand crush stewed tomatoes into a bowl. Add olive oil to a saucepan on medium heat. Add garlic and crushed tomatoes to the pan. Stir in salt, pepper, basil and oregano. Simmer, covered, for 15 minutes. Mix together all stuffing ingredients until well combined. Stuff each squid body with a heaping tablespoon of stuffing and place in a baking dish. The squid will contract when cooking, so do not overstuff. Pour sauce over the stuffed squid, cover with foil, and place in a 375-degree oven for 20-25 minutes. Serve with your favorite side dish and enjoy!